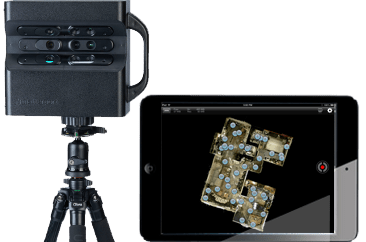 An amazing new 3D Scanning Technology Comes to Aptos, in the form of the Matterport 3D camera. This camera is used to create photorealistic representations of the interior of buildings. It was developed over the hill in Mountain View, and some of the earliest adopters of this technology have been real estate agents, for the creation of eye-popping (some would say mind-blowing!) virtual tours. This is believed to be the first use of a technology like this ever in Aptos. Noted Aptos real estate broker Seb Frey hired VirtualTourCafe to create a 3D model of his listing at 692 Rio del Mar Blvd, in the Rio del Mar neighborhood of Aptos. Although the Matterport technology is very new, it’s gaining traction, fast. Zillow now directly supports links to Matterport 3D models, and the San Francisco Association of Realtors has already added a specific link for Matterport models right in its MLS singulair over the counter. It is expected that many more multiple listing services, including MLSListings.com which serves Aptos, will one day offer direct support for this nascent technology as well. My listing at 692 Rio del Mar is truly an exceptional home – but honestly, a lot of people are put off by the Rio del Mar Boulevard address. They think traffic and noise – but this home is actually set well off the street on a flag lot. Getting people up the driveway to see the home has been a challenge…but by offering this innovative Matterport 3D virtual walk-through, we’re expecting to get a lot more buyers in the actual door. See also: What’s the Matterport in Santa Cruz? Supervisor Zach Friend and the Rio del Mar Improvement Association (RDMIA) will be holding a ribbon-cutting ceremony on Monday, June 1, 2015 at 9:30 AM at the Rio del Mar Beach esplanade. The ceremony will celebrate the completion of the new roundabout as well as the new entrance sign to Rio del Mar and other beautification efforts. All are invited to the ribbon cutting ceremony. The County of Santa Cruz Public Works Department managed the construction of the roundabout, beginning in the fall of 2014. The RDMIA coordinated the relocation of the Whaley Structure to the roundabout during the construction project. The new roundabout is now complete and provides a safer circulation pattern with less air pollutants released. The Aptos Chamber of Commerce recently awarded a “Community Enhancement” award to the RDMIA for its participation in the roundabout construction. The roundabout is just one of several projects completed in the Rio del Mar area during the past year. 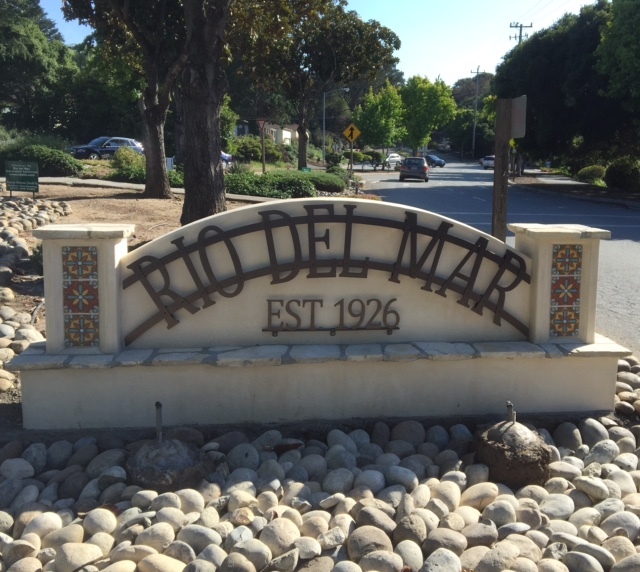 A new entrance sign to Rio del Mar was completed in May 2015 in the traffic median island across from Deer Park Center. The sign’s construction was coordinated by John Fuchs Construction of Rio del Mar and LMNO Arts, an Aptos-based business, created the unique metal letters. The sign’s design is a replica of one of the original signs in Rio del Mar dating back to 1926. The new sign provides a historic and charming “welcome” to residents and visitors alike. All of these efforts are part of the RDMIA’s “Beautification” Strategy for 2014-2015. Other projects that the RDMIA is coordinating include new landscaping and a memorial bench program for new benches along the Esplanade. The Public Works department utilized grants and other funding to pay for the roundabout. The RDMIA raised over $13,000 to pay for its beautification efforts. Residents, property owners and local businesses contributed to the fund. There’s a hot new Kickstarter project in town – so hot, in fact, it was named a Kickstarter Staff Pick within hours of launching. It’s an idea whose time has come: sturdy, inexpensive furniture made from 50% post-consumer recycled cardboard – designed for kids. The project is the brain child of Aptos native Jordan Kepler, who recently graduated Cal Poly in San Luis Obispo. Kepler, along with fellow Cal Poly alumni Justin Farr and Jake Disraeli, came up with the idea as part of their senior project. They noticed that university students often toss out their furniture when they move after the school year ends. In fact, 8.5 million tons of furniture and furnishings are thrown away every year in the United States. That’s a lot of trash. It’s no secret that a lot of today’s furniture is cheap stuff, made from particle board and not designed to last for many years. Kepler and his friends realized that children’s furniture in particular has a short life span, as kids outgrow their furniture within a few years. From this idea, The Cardboard Guys was born. While the furniture is designed to be recycled, it is also designed to be sturdy and strong: a chair they’ve designed is rated to hold 500 pounds of weight. Within 3 days of launching on Kickstarter.com, the project had already reached about 50% of its goal of $25,000, which must be raised by March 27th. Once the project reaches its goal, The Cardboard Guys will use the money to buy a cardboard die cutting machine and start cranking out their first product, a cardboard desk and matching chair. Each desk+chair set comes with art supplies in the packaging, and kids are encouraged to decorate their furniture to suit their style and taste. It is expected that the desk+chair set will retail for around $100. Assuming that the $25K Kickstarter goal is met, Kepler and The Cardboard Guys will be donating pieces to the Rio del Mar Elementary School auction and also the Mar Vista Elementary School auction. Check out the cool teaser video (below) they put together – and then head over to the Kickstarter campaign and make a donation. There’s a much longer and more detailed video there you can check out too. Let’s help Jordan and his friends make a dent in the Universe. Sheriff Elect Jim Hart, Supervisor Zach Friend and District Attorney Jeff Rosell will co-host a community update on the recent arson and vandalism in the Aptos area. They want to provide the latest case information and hear from the community about any additional leads or concerns that people may have. 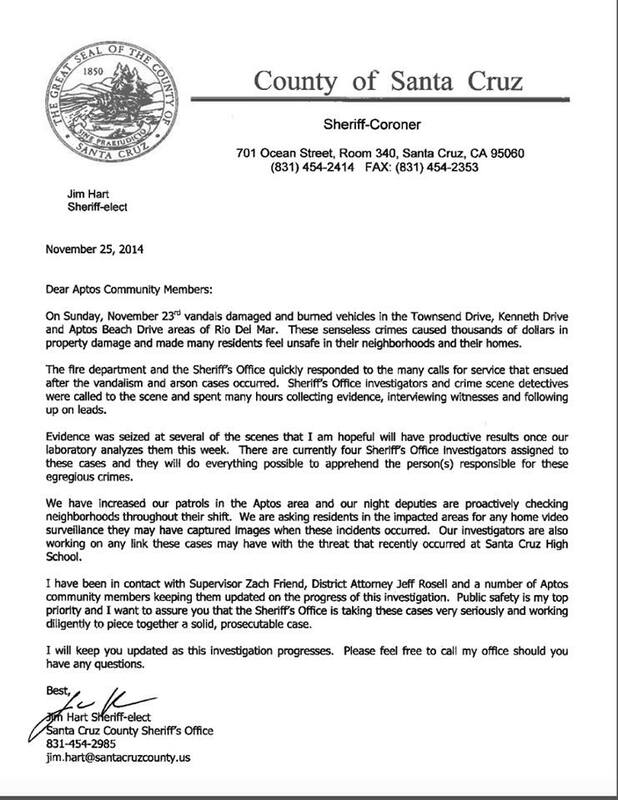 The event is open to all Aptos neighbors. Parking is limited so carpool if you can. No RSVP is required. The meeting is to be held this coming Thursday, December 4th from 6 PM – 7:15 PM, at the Rio Sands Hotel.